Come rain or shine, many people will find themselves spending the summer months miles from home in search of music and fun. But for vapers planning on heading to a festival, there is one important question: can you vape at festivals? The answer in general is yes, but with the added note that it is usually only allowed in open spaces. 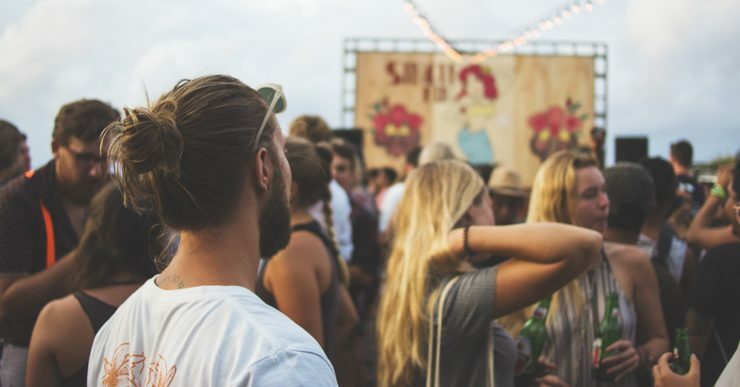 Many larger festivals such as Glastonbury and Bestival don’t have explicit guidelines that ban vaping, but often you might be asked to stop if you’re in an enclosed space. If you’re unsure about vaping at the festival you’re heading to, we’d recommend getting in touch with the festival organizer. 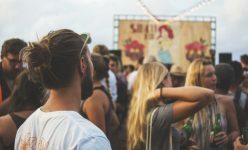 Part of the festival experience is surviving without the comforts of home, so for anyone new to vaping at festivals, we’ve put together a few tips on how to clean and charge your e-cigarettes at a festival. Whether it’s dusty or muddy, we can all get a little dirty at festivals, but one thing you need to look after is your e-cig! Wiping down an e-cig with a paper towel and some water will help keep it clean. Check the terminal between the battery and the cartridge or clearomiser to make sure it’s clean too, as if it gets dirty your e-cig might stop working. Also, remember to wipe down the mouthpiece to make sure you have a tasty vape rather than a mouthful of dust! It’ll also help your e-cig produce vapour to the best of its abilities. When cleaning a blu PRO®, we’d recommended disassembling your e-cig before cleaning so that you don’t get any water on your battery. Unscrew the clearomiser from the battery and then unscrew the mouthpiece from the top. Next, carefully pour a small amount of water into the clearomiser until it is about half full before placing your thumb over the top. Shake the clearomiser rigorously for a few seconds before emptying the water. Wipe down the clearomiser thoroughly before reassembling your e-cigarette. This will clear out any residual e-liquid inside your clearomiser. If cleaning doesn’t appeal to you, you can purchase a second clearomiser and switch between them. This will help ensure you’re still getting a nice vape without repeatedly having to clean your device. Some festivals offer hubs where phones and e-cigarettes can be charged, but make sure to get there early as the queues can fill up pretty fast! To avoid running out of batteries, e-liquid or cartridges, vapers can also take spares with them. If you’re using the blu PLUS+™ Charge Kit, you can recharge your e-cig by putting it in the case. The case can also carry two spare batteries and a USB cable to charge the pack. All blu® e-cigarettes will generally hold charge for a few hours if you remember to fully charge them before heading out for the day. Keep this in mind when planning your daily activities. If you’re using the blu PRO®, remember to turn your e-cig off after use by pressing the button 5 times to make sure it doesn’t run out when you need it the most!